We are a family owned and family operated company. 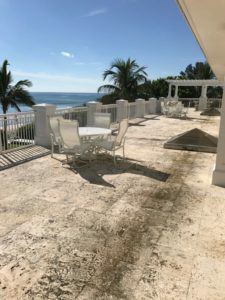 We have been in the power washing business for more than ten years, and have established a reputation as the company to go to for pressure washing services in Palm Beach. 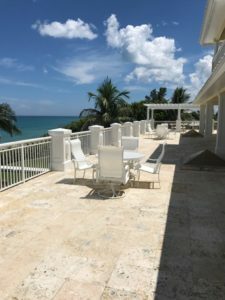 Commercial and residential structures in Palm Beach face the harsh Florida sun, and our heavy seasonal rain, as well as wind and storms. These can be rough on roofs and the exteriors of buildings. Stains can develop quickly from pollen and from mold, and debris can also quickly build. Regular power washing helps keep these things under control. Pressure washing also extends the life of shingles and several kinds of siding, so it is an excellent investment in maintenance. 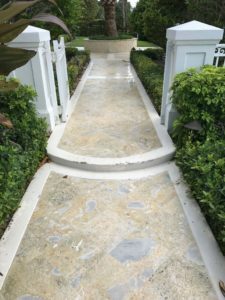 Pure Power Washing services both commercial and residential properties in Palm Beach. No two properties are exactly alike, and our highly experienced employees will use the correct cleaners and methods for a particular project. We do more than roof cleaning and washing building exteriors. 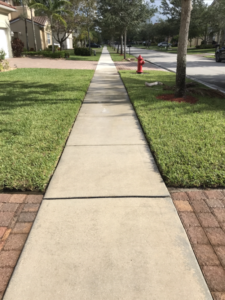 We pressure wash the surrounding spaces such as walkways, driveways and parking areas. We wash patios, decks and fences. Our employees are careful not to affect lawns and plantings. Their work has been recognized by excellent customer ratings. 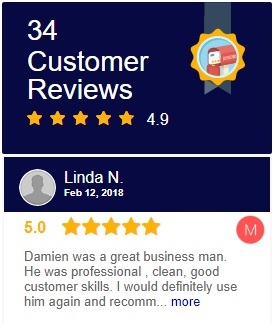 Our reputation is important to us, and that’s why we wash homes and commercial buildings as if they were our own. Power washing is more than just pointing a hose at a roof. High power washing can damage shingles and other surfaces. We use soft washing for some projects. We also offer low pressure chemical cleaning to go with our low pressure water cleaning. Soft washing cleans but does not damage. 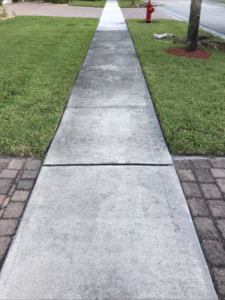 The result of a professional pressure wash is a cleaner, more inviting premises that enhances curb appeal and customer appreciation. 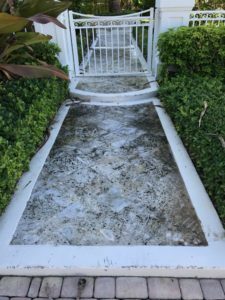 For expert pressure washing services in Palm Beach and the surrounding areas, contact us today at Pure Power Washing. You will quickly learn why your friends and neighbors all trust our professional services. We offer fast and Free Estimates!